Instructions For the Honey Ginger Syrup: In a small pot combine 1 part honey with 1 part water with a few chunks of sliced ginger. Bring to a boil, strain out ginger, and let cool. Store in a non-reactive container, and keep for 1 month in the refrigerator. For the Cocktail: Stir with ice and strain into a chilled cocktail coupe. 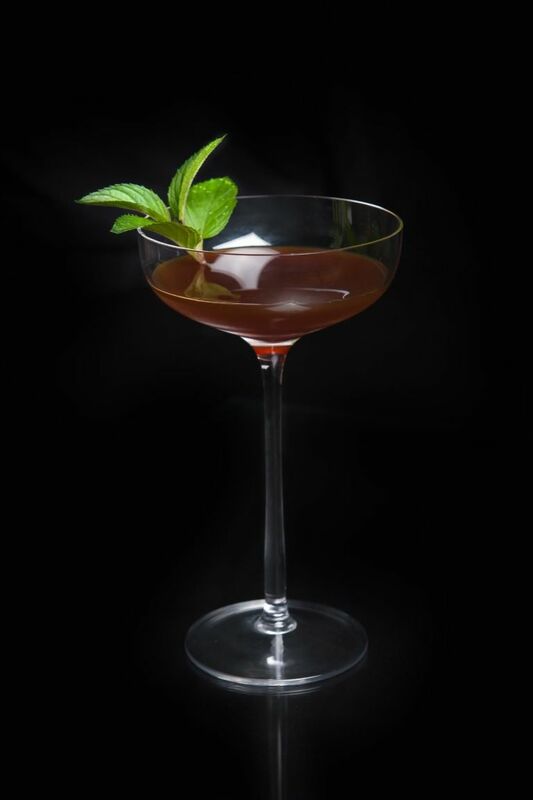 Garnish with a sprig of fresh Chocolate Mint.